I’m all about the on demand salad dressing movement. Ok, it’s not a movement but, I feel strongly about on demand salad dressing. I rarely buy bottles of dressing because I’ll be honest we don’t eat a lot of salad in this house. Also, my tiny refrigerator’s real estate is super valuable, and I don’t want to take up space with salad dressing bottles that I use a few times a month. There is nothing wrong with walking into a store and picking up your favorite salad dressing but, if you have oil and vinegar in your pantry you can make salad dressing at home. I like to make my salad dressing on demand because I only make what I need and make it how I want it. 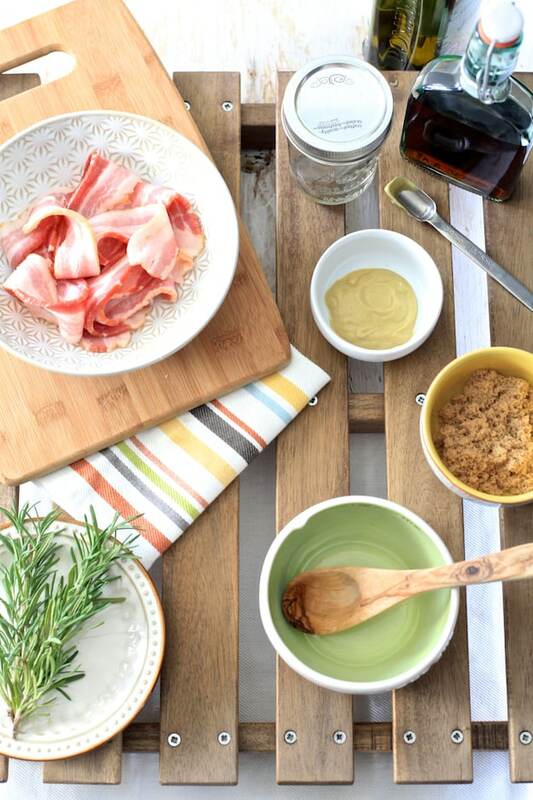 Using a base of oil and vinegar add whatever ingredients you like and make it your own. For example for this dressing I added some bacon! Because bacon makes everything even salad dressing better. 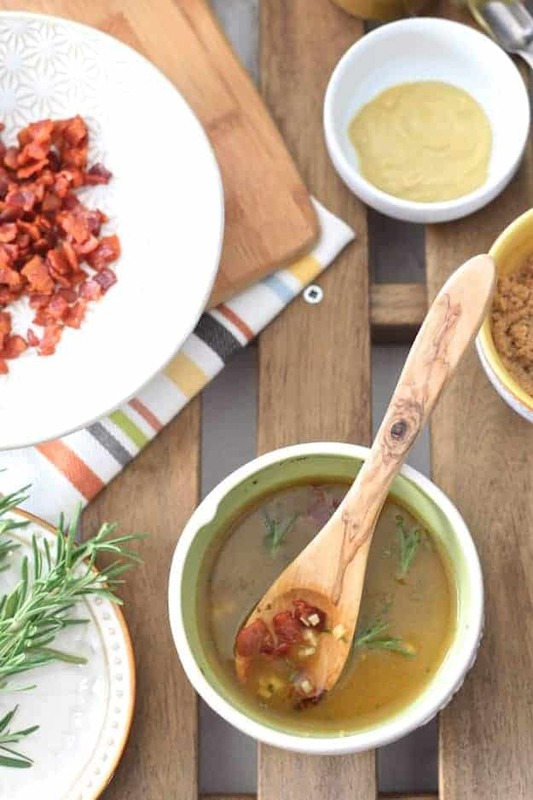 The most important element to a bacon vinaigrette is, of course, the bacon drippings. And the trick to getting the most drippings our of your bacon is to cook it low and slow. Dice the bacon, add to a cold skillet, set to med-low heat and stir occasionally. With a little time and patience, your little bacon bits will be crisp and swimming in drippings. This dressing has a bit of tang, sweet and bacon goodness. It’s perfect over your favorite spinach salad, tossed with roasted sweet potatoes or your favorite everyday salad…because bacon! 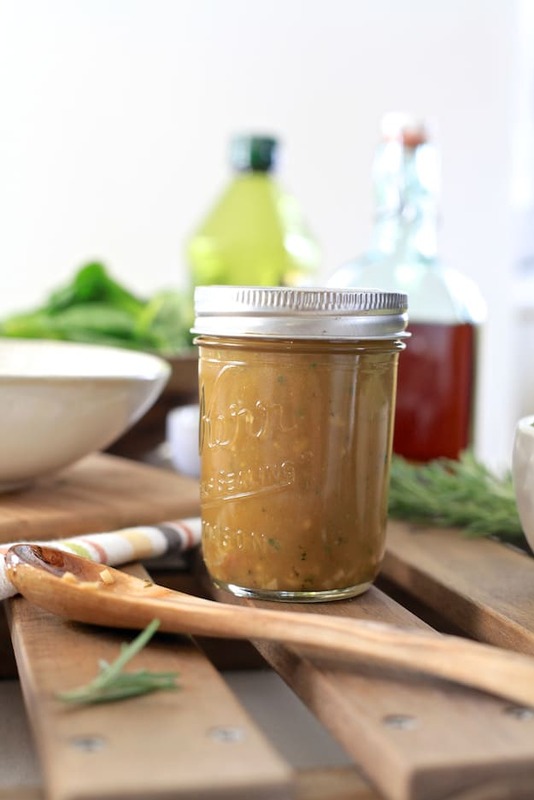 The best part about making your own vinaigrette is how easy it is to change it up. You can use any oil such as olive oil, vegetable oil or grapeseed oil combined with any vinegar like balsamic, sherry or champagne. The variety of oils, vinegars and add-ins are countless. 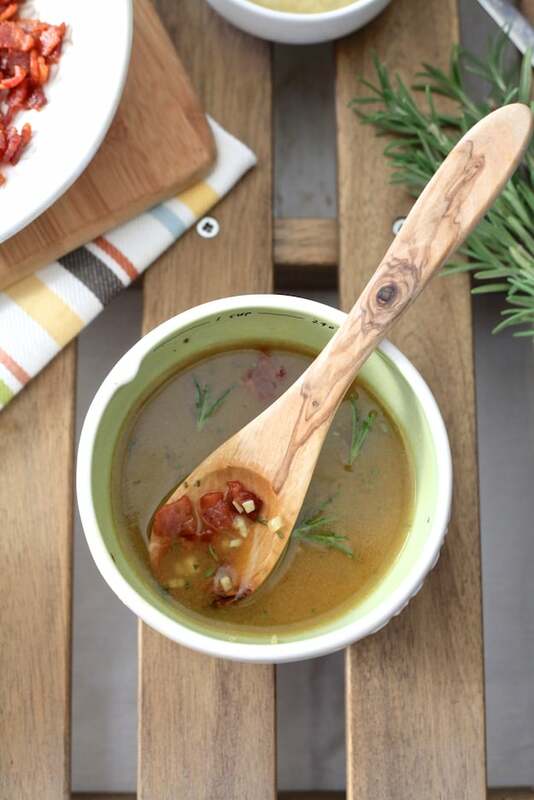 Whichever combination of oil, vinegar, and add-ins you choose the more time you allow the dressing to sit and marinade the more flavor it will develop. Tangy vinaigrette with notes of rosemary and smokey bacon. Add bacon to a cold skillet, heat skillet over med-low heat and slowly render out the fat from the bacon. Cook until bacon is crispy and produced just over 2 tablespoons of bacon drippings. 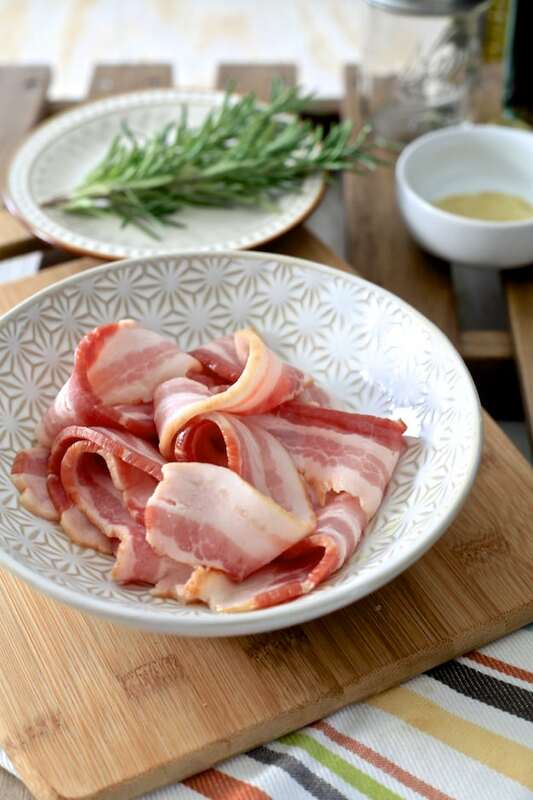 Transfer cooked bacon to a paper-lined plate. Add minced garlic and rosemary to the skillet and cook until aromatic, about 2 minutes. In a small non-reactive bowl combine bacon drippings and remaining ingredients. Whisk until emulsion is formed. Use immediately or store in an air-tight container.